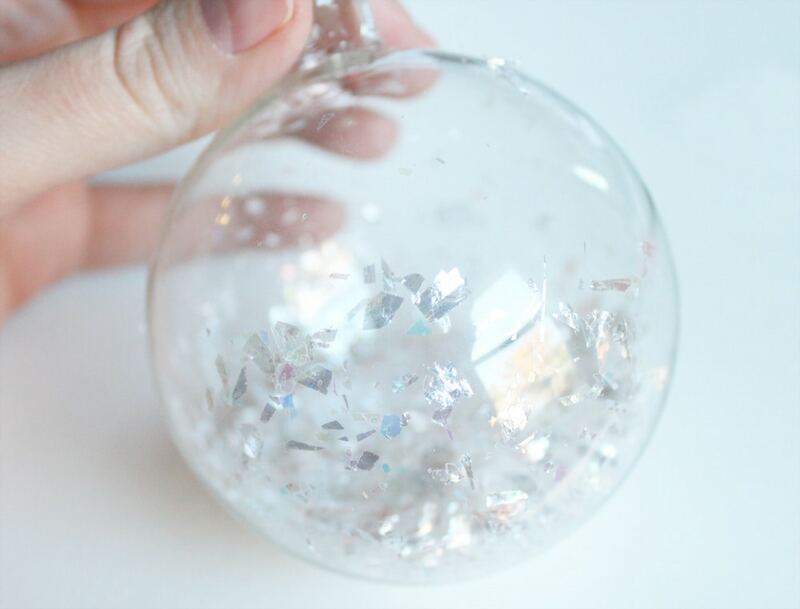 I couldn’t do a 12 Days of Handmade Christmas Ornaments series without making a glass ball ornament, so for day ten I filled one with some pretty fake snow and snowflakes. 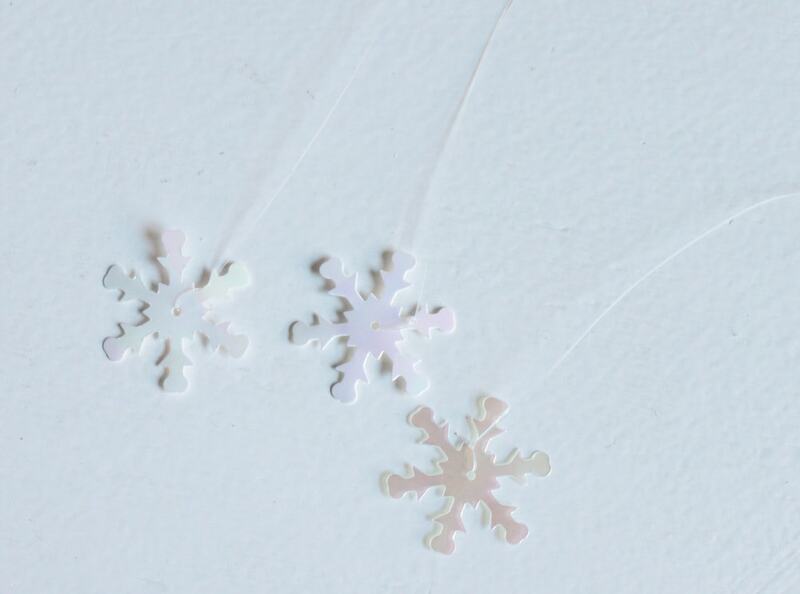 I love the way the snowflakes reflect the light! 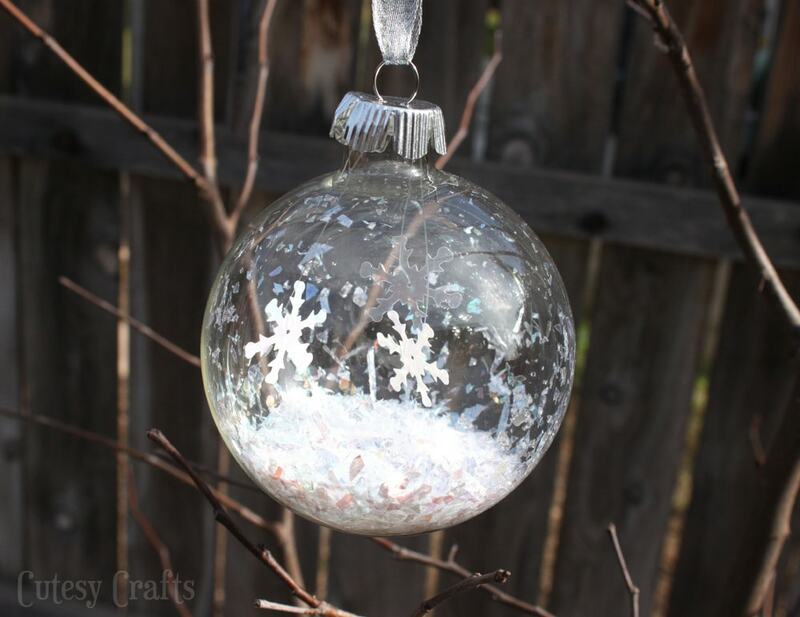 I used the same glittery fake snow that I used for my snow globe ornament. Just fill it up to the desired level. It helps to make a funnel out of some paper for this part. 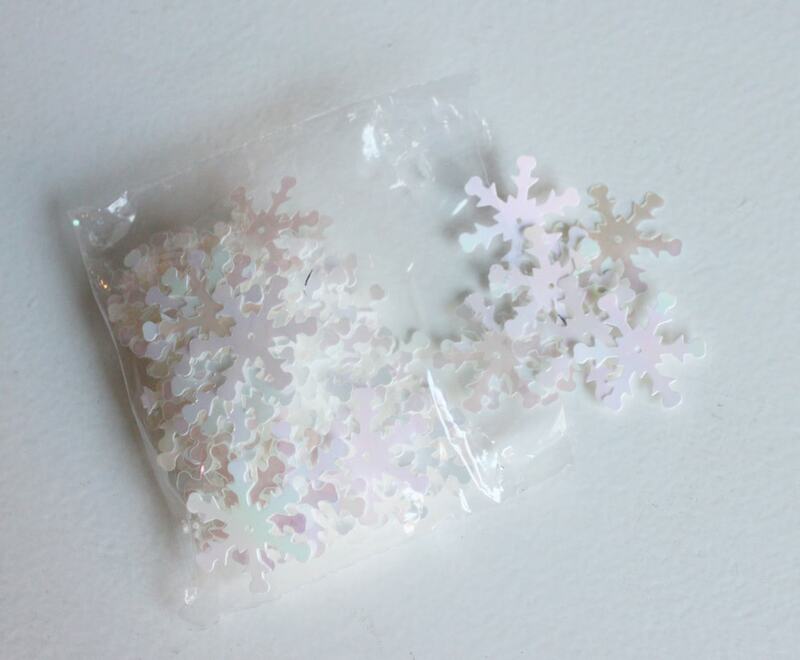 I got these pretty snowflake sequins from Michaels. 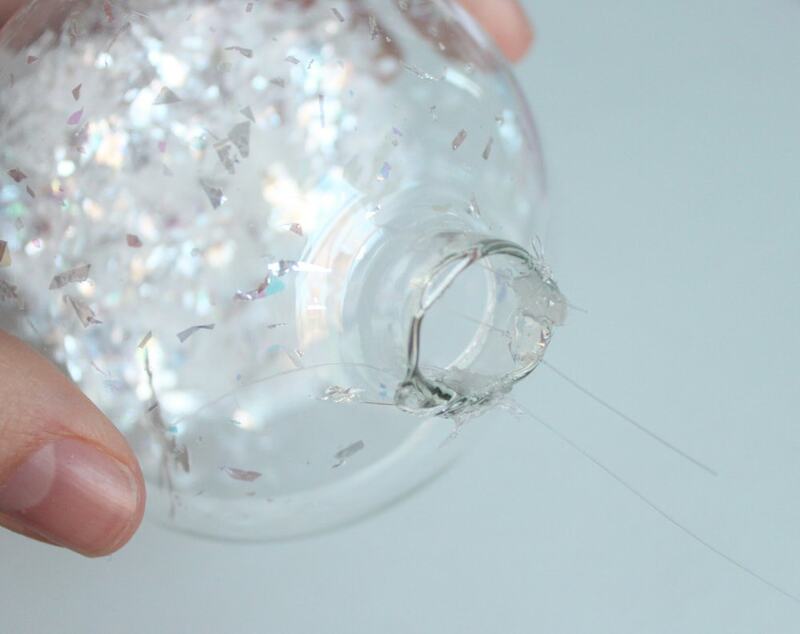 Use hot glue to attach each the end of the fishing line to the inside neck of the ornament. 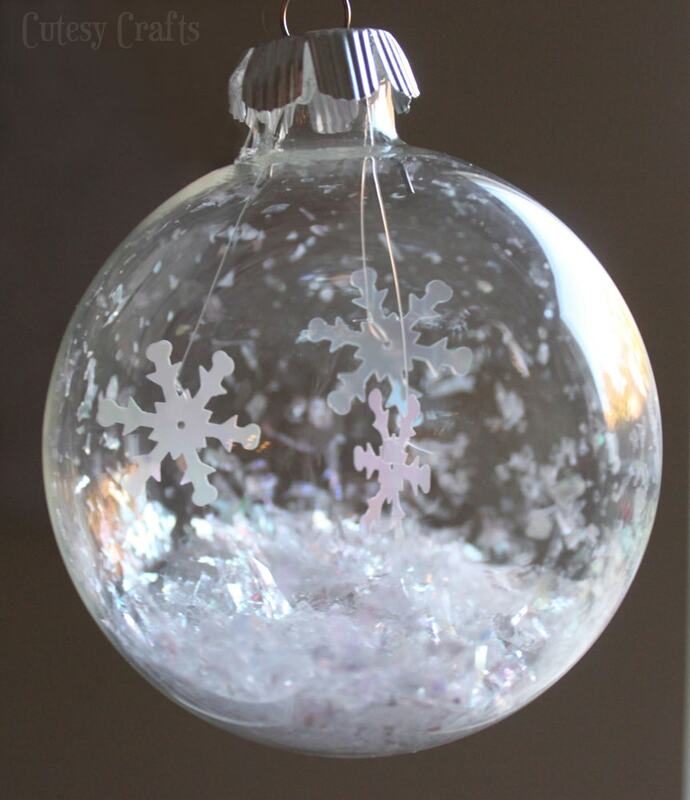 Try not to get any on the outside of the ornament. Once the glue is dry, trim the fishing line. Put the cap back on and you’re done! Just a couple more days left in my 12 Days of Handmade Christmas Ornaments series. Thanks so much for being here! Make sure to go enter the giveaway here before it’s over. So stunning for something so simple! 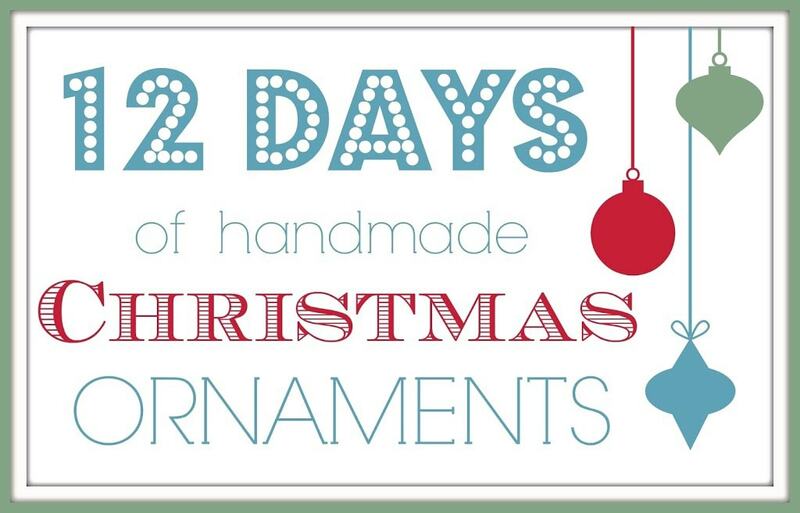 I love the idea of having little dangly bits inside an ornament!